Home > Google News > Google AdSense > Google AdSense Testing A New Sharp Font? 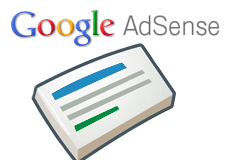 The folks at WebmasterWorld are noticing Google testing a new AdSense font. Truth is, I see it also and it is very sharp, crisp and it stands out more from the original font options. I am not even sure if this is a test now because virtually everyone sees the new font type. It seems that Google is testing new fonts in AdSense text ads. Starting yesterday, I'm seeing ads using the "Slabo" font family, a narrow, slab serif typeface. This font family isn't available in the AdSense font options, though.